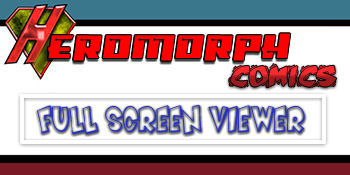 Heromorph - Forum - Heromorph Comic Books!! - What If The Crisis On Infinite Earths was a Marvel Comics Group Event? What If The Crisis On Infinite Earths was a Marvel Comics Group Event? There are some places where the old lettering still shows underneath the new ones, some minor errors word-wise but nothing that ruins the experience. I can see all the effort, work and love you have for the original and that you have put it all into this. I'm curious to read the rest. I don't know I figured the first choices were made for reality as Marvel did destroy the Ultraverse? So I wonder which Verse and characters go into Book two? This is such an honor having Heromorph post my comic. Each issue will be coming out once a month so hopefully I can have the entire series done on a timely schedule. Book two will be posted in a couple of weeks. And yes, the Ultraverse was the first to go because Marvel ended them anyway. I always felt that the Ultraverse should have gone out with a bang instead of a whisper. The second issue is on the way! So gang, tell me what you think about what you've read so far! If you have any questions or theories this is the place! Book 3 coming soon! Advance peek at the cover in the Art Gallery!